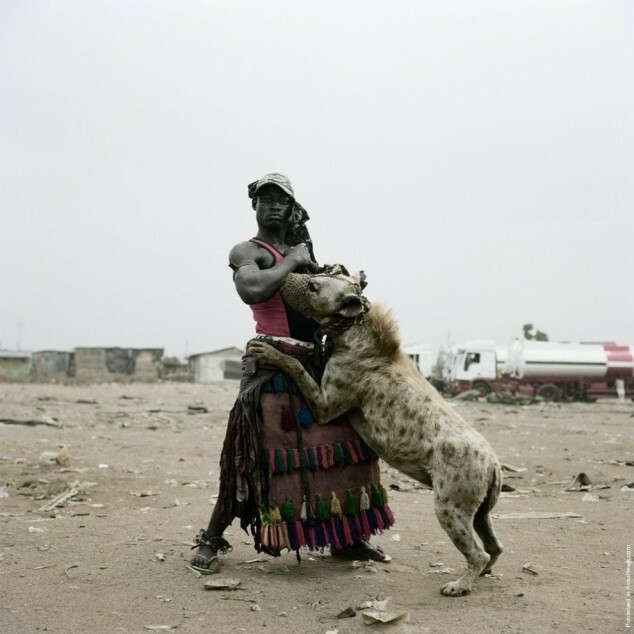 This is very interesting ….clearly this are hyenas that are domesticated as im pretty sure their wild side still lingers daily.My first encounter with hyenas was as a child in a place where I grew up in Africa ; in the suburb of the capital city of Ethiopia (Gulelae). 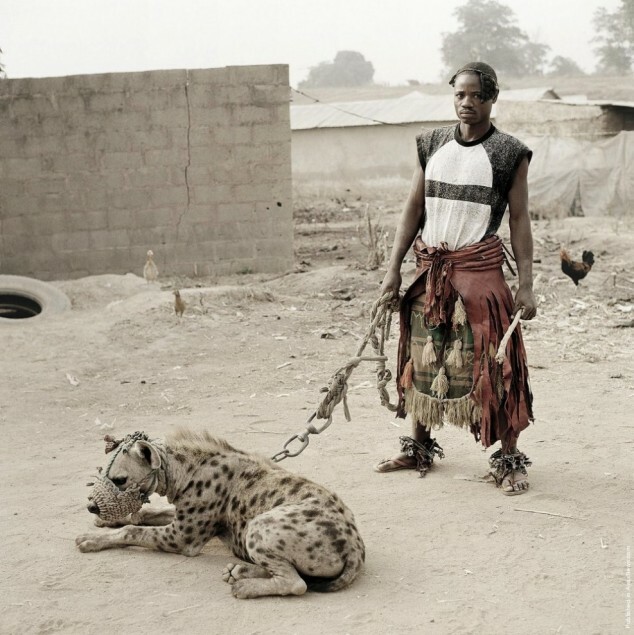 Although Hyenas are wild, they were part of well established middle class neighbourhoods in my neck of the woods. They were common( part of suburb ecosystem), as it’ll be common to have seen a fox, python or a bear depending on what type of environment you live in here in the US. Actually, we use to have a dog that would escape the gated house and during sun rise (that’s when the hyenas were most active at list in my neighborhood) and fight and return home with scratches and bleeding nose. I remember there howls and human like laughs that was very creepy. 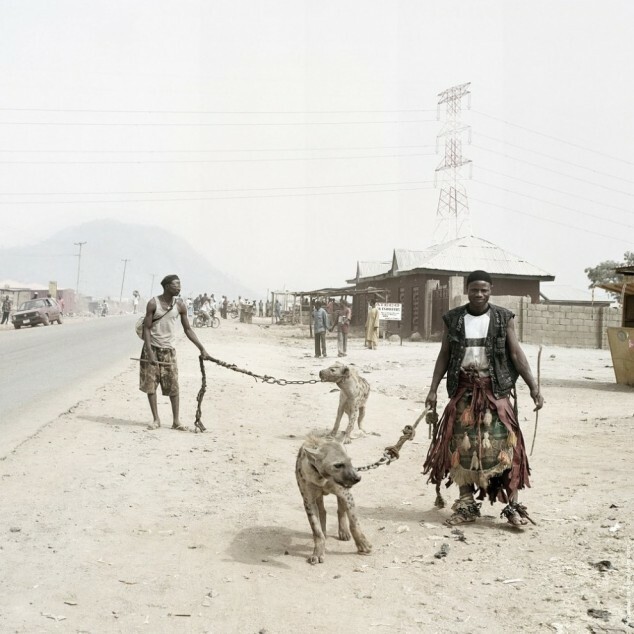 I belive with all the infrastructure going on with highway renovation and the capital city’s swelling population they no longer exist in my neighborhood ( its been 11 years since I have lived there n the change is very rapid) but there is still a chance to catch the wild hyenas in another region if your ever in Ethiopia. I have seen wild hyena feeding showman in a region known as Harer. its such a trilling experians interacting with wild beasts. 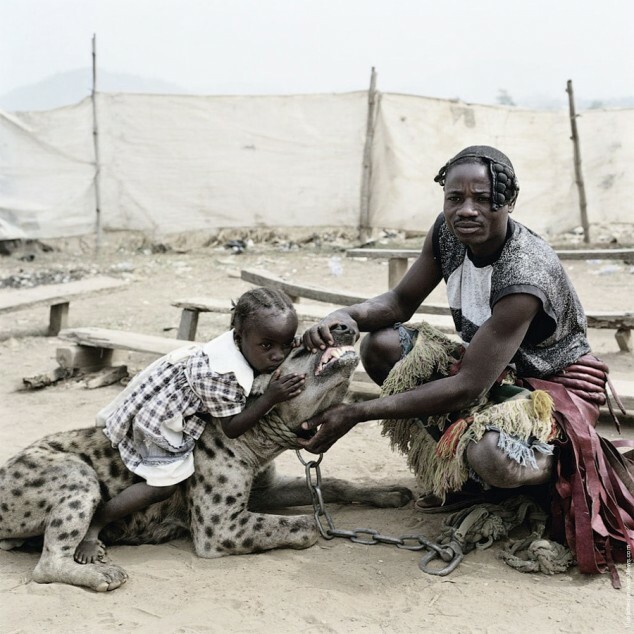 The hyenas in these post look different from those ive seen back in Harer,ethiopia region. Probably diffrent gene pool but it was an amazing experience. If you are brave enough they even let you feed them. I never have imagined hyenas as majestic animals, they are always depicted as the clumsy and overall an attractive character of the safari (as depicted in the Lion king). However, this article as well as my childhood encounters shows how much character and personality hyenas have. 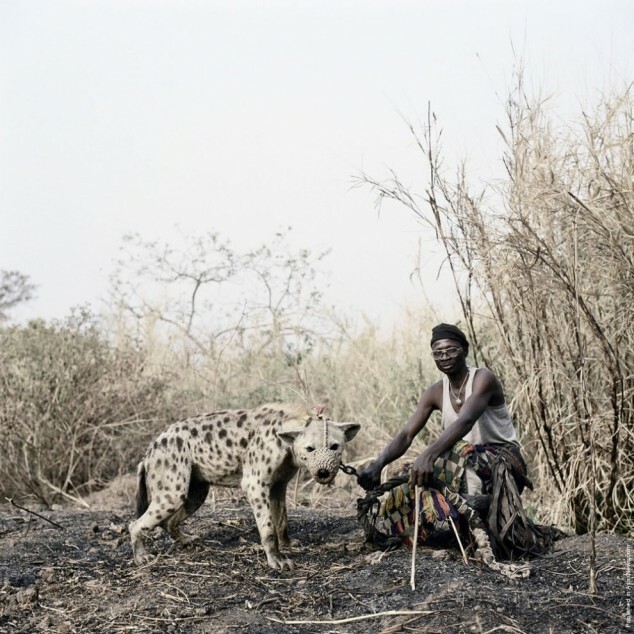 Over all this is a very remarkable man and beast interaction that sheds light on hyenas. 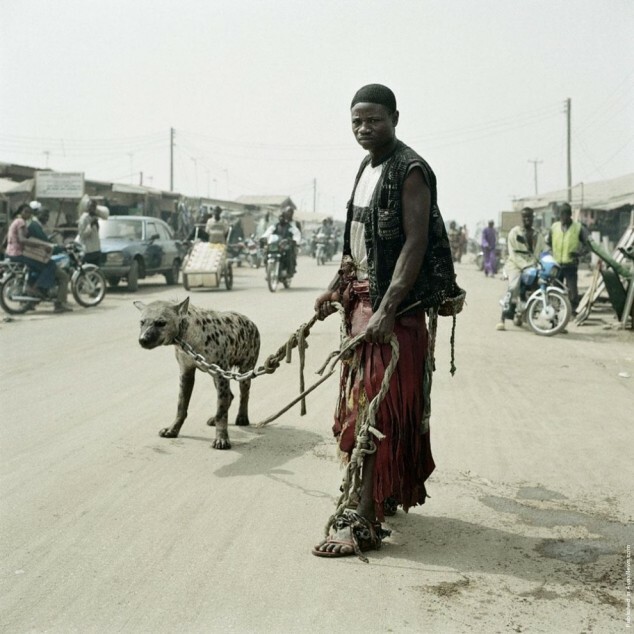 I hope this give us a sense of how cool hyenas could be. I saw these in the NC Museum of Art in Raleigh. 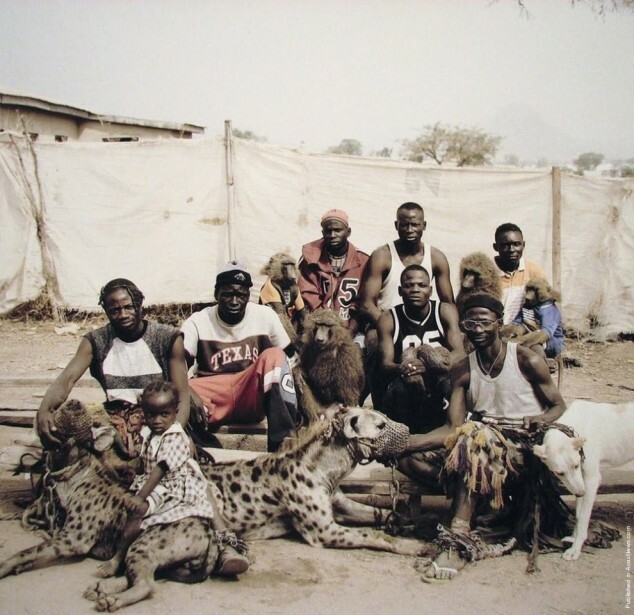 They were taken in 2005 by Pieter Hugo. I never realized how big hyenas are. This entry was posted on May 2, 2012 by rekike. It was filed under Uncategorized . Wow. That is fascinating they were in your neighborhood. I would love to visit Ethiopia.